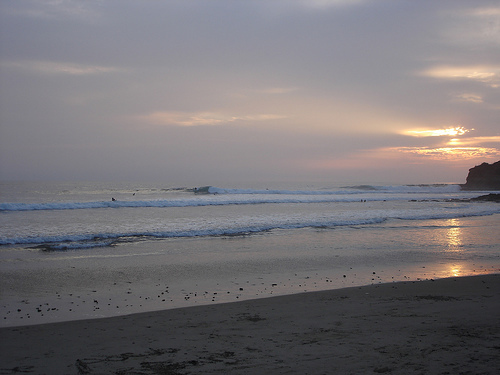 Salinas is located on the southern coast of Ecuador, and is the country’s most western city. It is a small, upscale city that offers many big-city comforts and luxury resources like yacht clubs, but is not as ridiculously expensive as some other resort areas. Salinas is also the beginning of the “Route of the Sun,” which is a road along the coastal resort areas. A lot of tourists come to Salinas, as there is a huge visitor infrastructure. Many of these visitors make the trip to enjoy whale watching, along with numerous outdoor sports, like jet-skiing, fishing, hang gliding and skydiving. 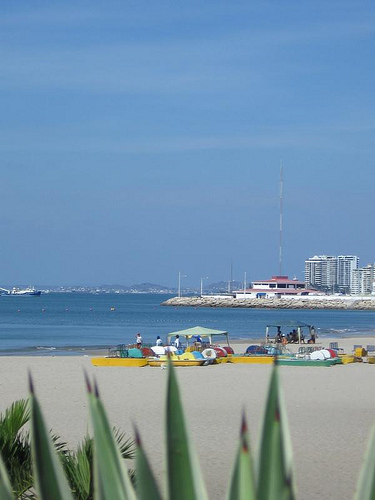 Some beaches located near Salinas include San Lorenzo and Mar Bravo. Manta is a small city that has existed since pre-Columbian times. Other than tourism, the city supports itself off of tuna fishing. It is also Ecuador’s largest seaport. This city also hosts the International Theater Festival each September. 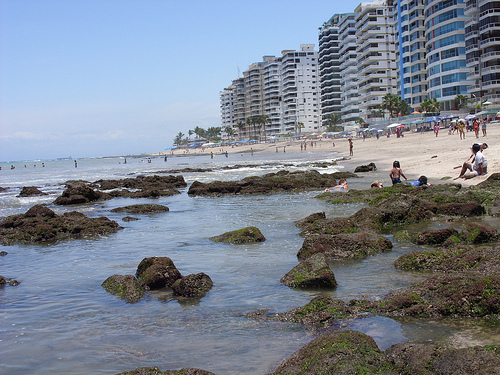 Some of the beaches around Manta include El Murcielago and Santa Marianita. Sand Lorenzo is a popular place for surfers, due to its windy conditions. Montanita is a beach town that has a reputation for being laid-back and friendly. 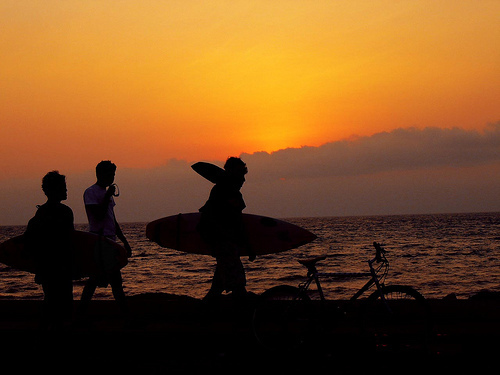 It is also considered a surfer’s paradise, and many people come here from all over Latin America to participate in surfing events. They also hold an annual seafood festival. It is growing as a popular place for students to come learn Spanish. Guayaquil is Ecuador’s largest city and more important port. Its metro area has over 3 million people. Though not directly on the ocean, it is located on the Guayas River, and where it flows into the Guayaquil Gulf. There are a few beaches on the water in Guayaquil, but many beautiful coastal beaches are located slightly north of the city. It is not a bad location to be at for people who choose to live in the city but have a car and like to escape to Ecuador’s Pacific coast beaches on their free time. Playas is a local beach that does not get as crowded as many of the others; it is only 25 miles from Guayaquil. Lots of locals make and sell ceviche at this beach, as well as assorted fresh seafood. Though pleasant, it is not the best place for swimming because there are rip tides.